Welcome to Madrid, a lively cosmopolitan and friendly city where everyone feels at home. A place for business and new trends, the capital of Spain oﬀers a safe, comfortable setting where taking time out and doing business are equally enjoyable. Its rich artistic and natural heritage, cutting-edge transport network, quality accommodation, ﬁne cuisine and the passion locals show when enjoying their city's day and night life make it one of the most attractive cities in the world. Madrid Convention Bureau, your institutional partner in Madrid, is a specialist department of the company Madrid Destino whose main goals are the promotion of Madrid as an ideal destination for holding all types of meetings, from conferences and congresses to incentive trips and actively winning any of these meetings. Madrid Convention Bureau is at the service of incentive trip, meeting and event organisers to guarantee that any event held here runs smoothly and to promote the Spanish capital as a city for business gatherings. ASSISTANCE FINDING VENUES or places in Madrid that are best suited to the execution of the programme. PLANNING AND MANAGING SITE VISITS and meetings during the candidate selection process. PROVIDING PROMOTIONAL MATERIAL and tourist information leaflets on Madrid for participants. PROMOTING THE EVENT Dissemination over the different MCB channels. ORGANISING FAM TRIPS from different business tourism outgoing markets to promote the city’s options in situ. Director Madrid Convention Bureau. Madrid Destino. 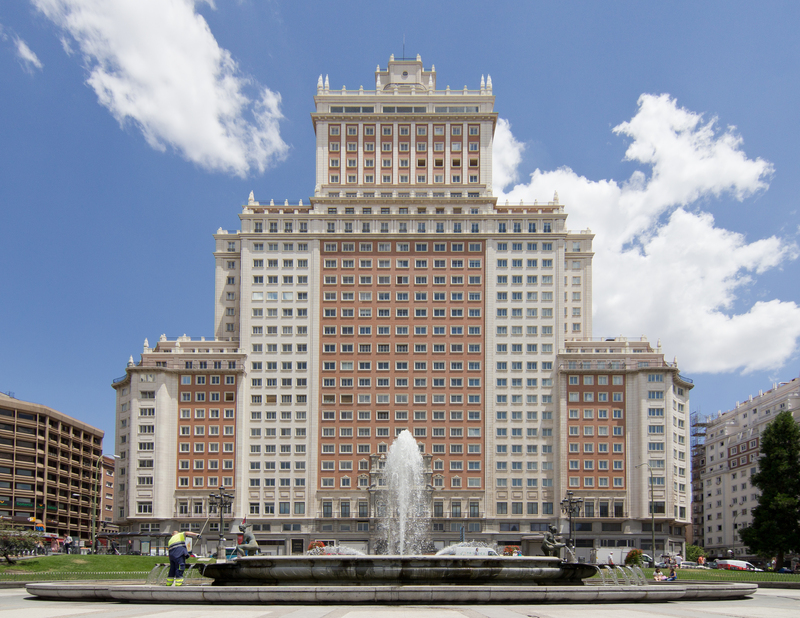 Our host hotel is the new anticipated Riu Plaza España Hotel, an iconic building situated on the Big Track, right in the heart of Madrid. This new hotel due to open in 2019, will feature 589 comfortable rooms and suites and an impressive Presidential Suite covering 168m2 and 60m2 with a terrace enjoying spectacular views. A variety of sophisticated bars will entice you to share great times and enjoy the finest cuisine, as the buffet restaurant with a capacity up to 450 people covering 820m2. At the very top of the building, and enjoying 360° panoramic views of the city, will be the exclusive Sky Bar with a capacity of up to 305 people. There will be a wide range of conference and event rooms. Its more than 5000m2 of space provides enormous flexibility for different configurations and a maximum capacity of up to 1,500 people. For example the roof terrace with 360 view which covers 565m2 and provides a capacity up to 376 people or the foyer, covering 721m2 for up to 480 persons. Conventia is composed of a group of industry experts with experience in multiple areas of business tourism including planning, organization, design, strategy, communication, creative services, content, activities, latest technologies and production: all focused toward congresses, conventions, events and incentives throughout spain and all of europe. We also offer the advantage of continental-wide coverage and support from strategic partners and providers across europe. We are proud to present to you our amazing team: motivated professionals with international backgrounds, true enthusiasts with strong abilities to inspire our clients.